First time filmmaker Maggie Kaszuba has chosen what is obviously a deeply personal subject matter for her first short film, the emotionally honest and inspiring Inspired. Inspired is set in the world of sports. Samantha Higgins (Tyler Kipp) is a talented yet undisciplined basketball player whose personal life and distractability seems to be sabotaging her chances at hoops success. It doesn't help that she's relentlessly pushed by Coach Stafford (Ariane M. Reinhart), whose constant limit-setting and borderline harassment seems abusive yet also seems to tap into Samantha's need for firm direction. 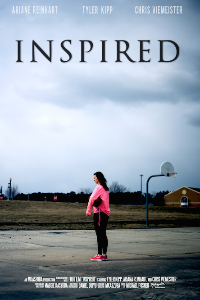 Inspired isn't just a story about basketball. Instead, it's a story about relationships, both human relationships and the coach/athlete relationship and how life isn't always giving us what we think it's giving us when we come face-to-face with these challenging relationships. To tell you where the film goes would be unjust...so I won't. Suffice it to say, that Inspired is an emotionally honest and tearjerking short film that more than survives its dips into cliche'd dialogue and unfolding scenes that would feel formulaic if you didn't get the strongest feeling that Kaszuba has taken a page out of her own life here. Tyler Kipp is tremendous as Samantha, a young woman who simultaneously seems strong as hell and achingly vulnerable. We buy into Samantha's frustrations completely yet Kipp does a wonderful job of keeping us invested in where her story is going to go. I will confess that I found myself thinking of Glee's Jane Lynch more than once as I watched Ariane M. Reinhart's bold and brave performance as Coach Stafford, a longtime veteran coach whose approach is no nonsense yet the kind of approach you remember with fondness and affection years later. It's a winning performance including one scene, in particular, that left me just riveted while watching her face. Dan Quiyu's lensing is intimate yet responsive to the film's changing dynamics, while Michael Posner's editing is crisp and effective. 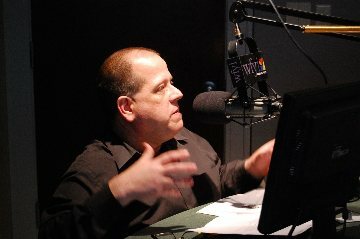 Inspired has already experienced solid success on the film festival circuit including picking up the award for Best Student Film at the Shawna Shea Film Festival plus screenings at Orlando Film Festival and the Lighthouse International Film Festival, the latter where it also picked up the prize for Best Student Film. Inspired was a Kickstarter-funded film and, indeed, it's a tremendous film to kickstart the filmmaking career of Kaszuba, whose intelligence and insight into the subject matter were obvious and who also did a nice job of crafting a personal film that didn't drown in sentimentality. For more information on Inspired, visit the film's Facebook page.